The Watson College has received a $23,450 grant from the Wells Fargo Foundation to support beginning teachers in Sampson County. The grant will enable WCE’s Professional Development System to bring three full days of professional development to 50 professionals in their first and second years of teaching in spring 2019. As a new anchor institution for the North Carolina New Teacher Support Program, WCE partnered with Sampson County on a NC NTSP pilot for five beginning teachers in spring 2018. The program was fully implemented in August for the 2018-19 academic year and currently supports 11 teachers in the district. The NC NTSP brings regional universities together with district partners to support beginning teachers in order to improve teacher retention, effectiveness and student learning. 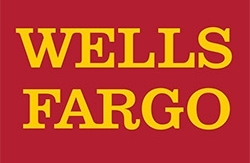 In preliminary meetings, Wells Fargo expressed interest in supporting teacher retention programs in rural school districts with high numbers of lateral entry teachers, Lewis said. At the same time, the Watson College was seeking ways to replicate and expand beginning teacher support programs outside of the greater Wilmington area.